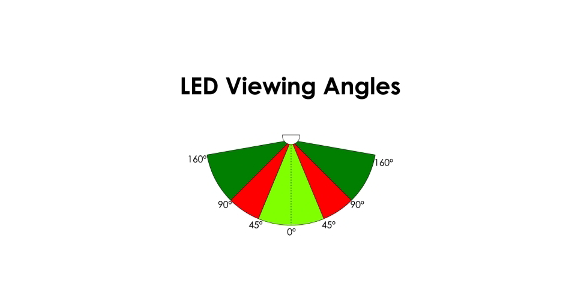 What is an LED Viewing Angle? As a signage professional, it is worth your time to know about an important feature of LED illumination. That is the “viewing angle”, and the meaning of that angle is sometimes misinterpreted. Here is a capsule explanation. The textbook definition of a viewing angle is “the peak luminous intensity measured at right angles to the surface of the LED chip”.1 It is twice the number of degrees from vertical at which luminous intensity drops to half of the peak value. Martins E.S.P. is your full service sign & print company for custom T-Shirts, signs, vinyl graphics, tickets, decals, full color printing and much much more. At Martins ESP, we take pride in delivering creative graphic design and high quality products. Our expert staff can assist you in finding solutions to all of your signage & print needs. Please call or visit for a free quote!.